Agents or “attorneys in fact” are people who have been designated by another individual (i.e., the principal) via a financial power of attorney to manage the principal’s finances. While stepping into the role of agent for someone else is completely voluntary, when people do agree to take on this role, they accept certain legal responsibilities. Here are some helpful tips that can assist agents of financial powers of attorney in successfully fulfilling their important duties. Tip 1 – Determine when the power of attorney takes effect. An experienced Denver estate planning attorney provides some essential tips for agents of financial powers of attorney. It will either take effect via a springing power, meaning that a specific event (e.g., incapacitation, etc.) described by the principal has occurred, or a standing power, meaning that it goes into effect as soon as the principal signs (authorizes) it. 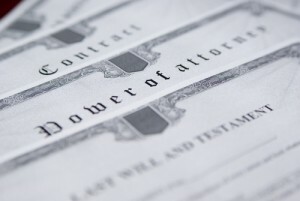 Typically, the power of attorney documents will specify the terms of the powers taking effect. So, make sure you review these documents so you know when you need to start your role as agent. Tip 2 – Figure out the scope of your authority. Financial powers of attorney can be limited or very broad, depending on the terms the principal wanted. So, determine just how much power you, as an agent, have when it comes to the principal’s finances. Have you only been authorized to manage personal expenses and household bills? Or are you now responsible for the principal’s investments and business assets? Understanding the extent of your powers can be essential to knowing when you may need to retain other professionals (e.g., accountants, etc.) to help you carry out your responsibilities. Tip 3 – Keep detailed records of all financial transactions made on behalf of the principal. Meticulous recordkeeping for a principal is typically required with financial powers of attorney. So, make sure you stay organized from the start, noting every financial transaction – including income and expenditures – for the principal. Tip 4 – Never comingle a principal’s property with your own. While this means that you should never add a principal’s funds to your own accounts, it also means that you may need to set up specially designated accounts for principal in order to keep all funds distinct and separate. Comingling funds can lead to breaches of fiduciary duties, putting agents at risk of getting sued. Tip 5 – Contact an experienced lawyer for help. Contact an experienced attorney to assist them. When you are ready to develop a financial power of attorney or get help with any estate planning matter, you can turn to an experienced estate planning attorney at JR Phillips & Associates, PC. We provide a thoughtful, comprehensive approach to our clients’ estate planning, elder law and other legal needs, and we take pride in helping each of our clients and their families find the best solutions for them. To discuss your options during an initial consultation, call us at (303) 741-2400 or email us using the contact form at the top of this page.